Courtesy of Mark A Carr, RE/MAX West End. Minutes from Lorton Station VRE metro rail! Have you been looking for a water property with an acre of land surrounded by woods AND it has a private, heated pool AND three workshops/sheds for wood-crafting-household projects AND it’s just a 4 minute walk from the Potomac River? Then You Have Found It. Rare opportunity for a home like this one with almost every amenity you could think of to welcome you home. Surrounded by National Forest and just minutes to equestrian parks, camping, tennis, golf and public pool. Make it your primary residence – or a second home by the river with plenty of space to entertain — including 400-square-foot deck, huge screened in porch with swing, paved sidewalks leading to three sheds (with electric); and a heated pool. All protected with a whole-house propane gas-powered generator powered. 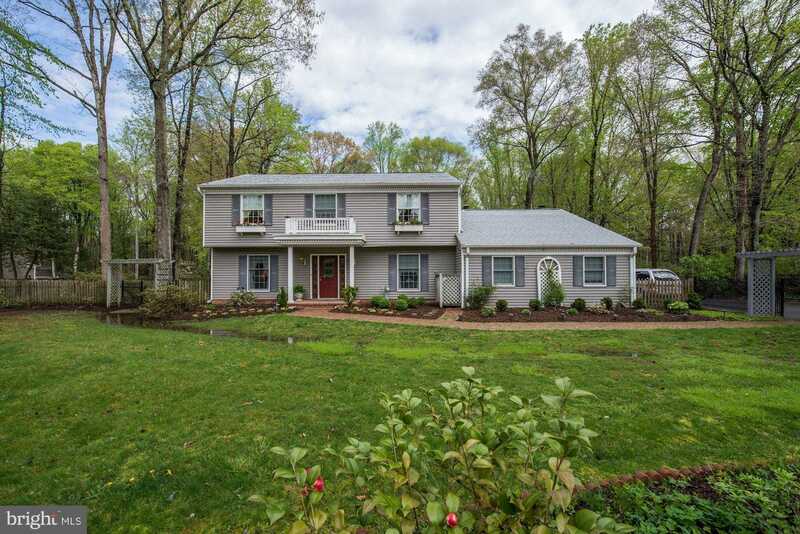 Minutes to Lorton State to commute downtown or drive quickly to Ft. Belvoir and points north.